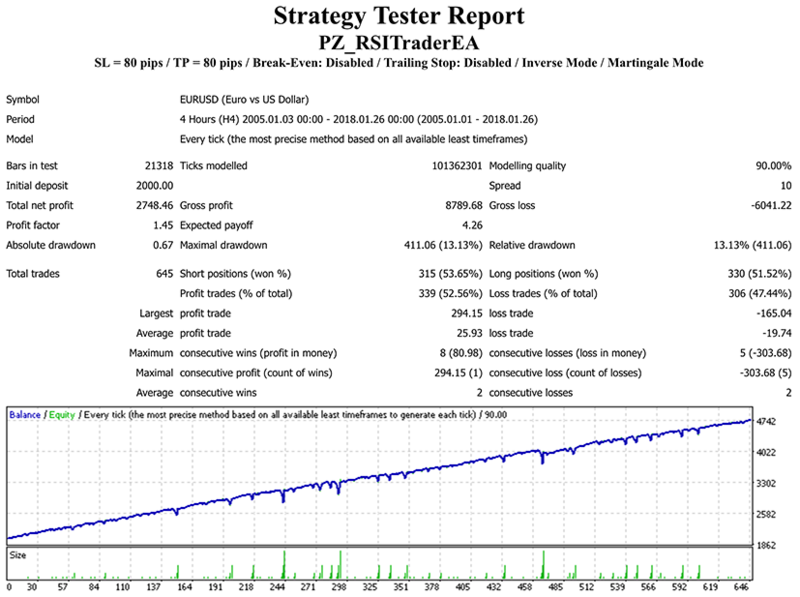 This expert advisor trades using the RSI Indicator and offers many useful features to customize your trading activity. It will generate profits during ranging markets and suffer during trending markets. Enter your desired RSI input parameters and oversold/overbought values. 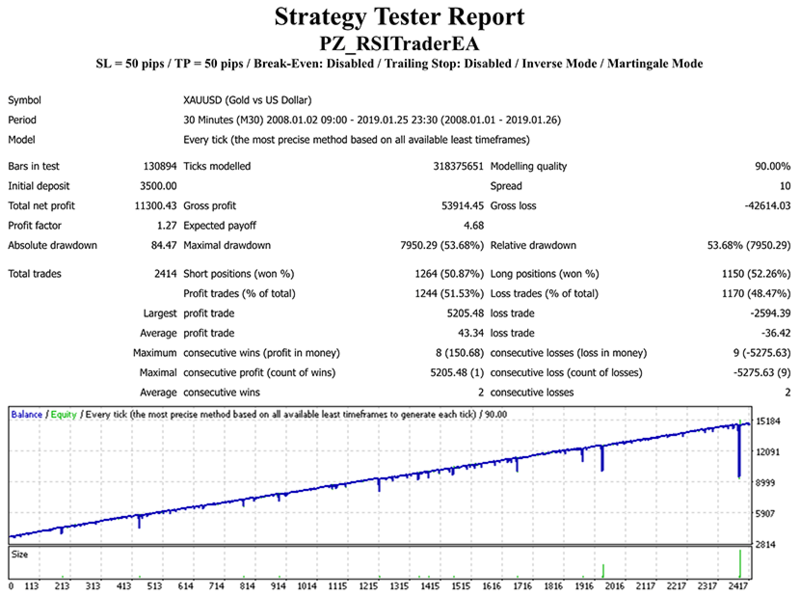 Select trading direction and trading scenarios to trade. 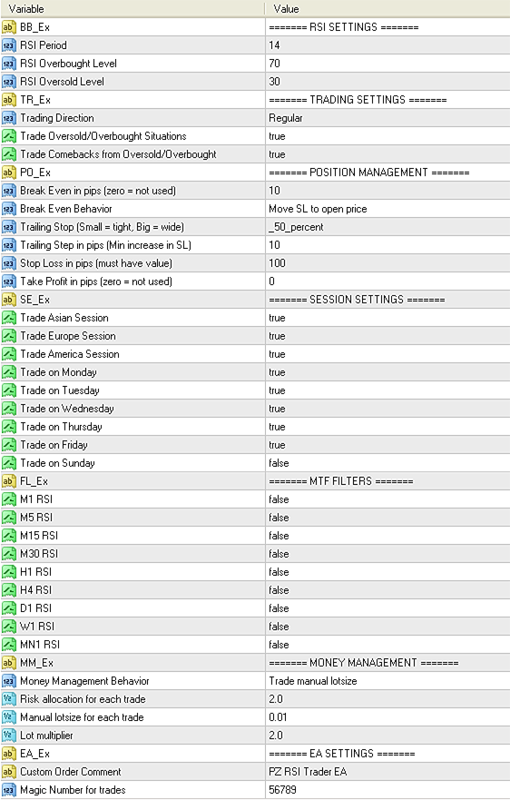 This parameter group allows you to enable or disable multi-timeframe logic for the trades. For example, if you want to trade on the H1 chart confirmed by the D1 RSI, load the EA on the H1 chart and set D1 Filter to true.